Click on the button below to start exploring our website and learn more about the services our company has to offer you! 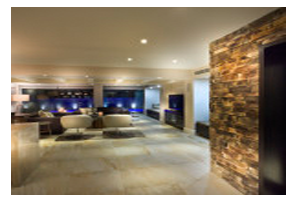 Gordmay Construction, your home renovations Ottawa specialists – the Contractors you can Trust! 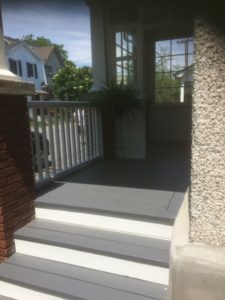 Home renovations Ottawa specialists, Gordmay Construction are proud to offer the Ottawa and Barrhaven area construction services that combine the highest quality home renovation services using only approved OBC standards. When deciding who to hire to do your home renovations in Ottawa, it is difficult to decide on which Ottawa construction company to hire. For tips on this click on our "Finding the Right Contractor" blog page. Gordmay Construction will be the last renovation contractor in Ottawa that you will ever need. 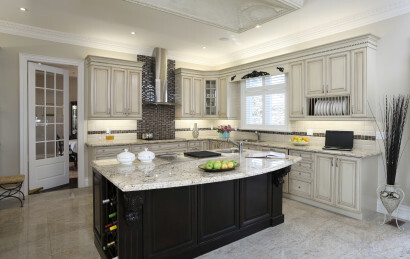 Ottawa Home renovations by Gordmay Construction, your Ottawa remodeling experts! Your one-stop shop for all things Ottawa Home Renovations and Repairs. We will provide you with valuable tips and tricks to assist you with caring for your home. 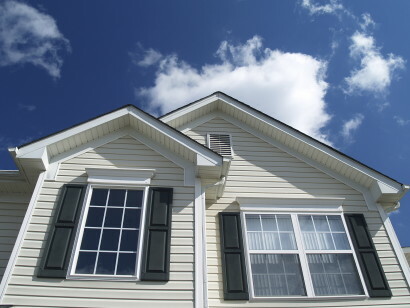 Ask us about our yearly maintenance program, we will inspect the exterior of your home to ensure you’re ready to endure the cold months ahead! Ottawa bathroom renovations at their finest. 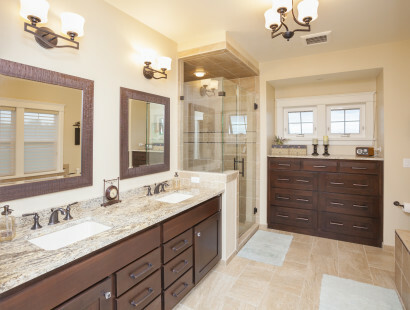 Specializing in custom bathrooms, remodeling, and building your dreams. 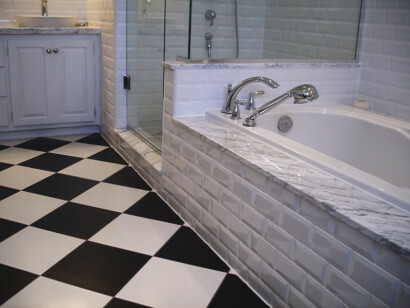 Gordmay Construction is your Ottawa bathroom remodeling specialist. Let us take care of your bathroom renovation in a timely fashion with our exacting standards for only the highest quality and workmanship. 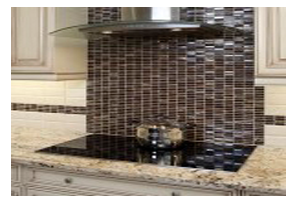 Your tile and kitchen back splash experts in Ottawa Gordmay Construction will remove your unwanted, outdated back splash tile and give your kitchen a whole new feel. But why stop there? Try replacing your counter top, sink and plumbing fixtures at a fraction of the cost of a complete kitchen remodel. You’ll be surprised with the results. Whatever your needs are, we’ve got you covered! Gordmay is First-Rate! 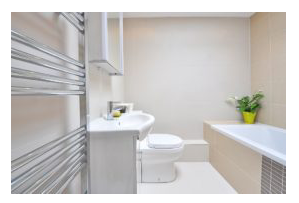 This company recently completed a total renovation of our main bathroom. Gordmay worked closely and responsively with us to realize our project. Their care and attention to detail is impressive, and the quality of workmanship is excellent. We felt comfortable and confident having Gordmay in our home. BRAVO Gordmay! We had a substantial renovation done to our 50 year old home this summer by Gordmay Construction Services and we have the utmost respect for this company and the cohesive team that worked on our project. A clean work site was left every night. 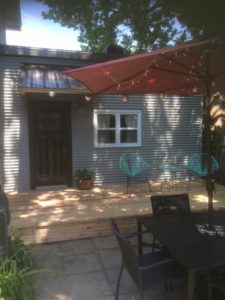 They replaced all new windows, eaves roughing, totally renovated our sun porch, with many substantial improvements, which included a new deck leading down to our welcoming backyard. Painting, as well as many needed repairs. These renovations have certainly increased the value of our home on the Rideau. You can trust Gordmay Construction to complete your project on-time and on-budget. This project speaks volumes to the pride, attention to detail and workmanship by their staff. Accolades to them for removing and replacing every piece of elaborate trim and moldings on the inside of the windows without even one break. Right from the start, their insight and expert ideas saved us enough money to redo our sun porch in cedar. We were kept informed of any changes/adjustments as the renovations progressed and milestone payments were according to our agreed upon contract. They went above and beyond the call of duty, coming out on a Saturday to complete the job on time! A job well done, and we are thrilled. 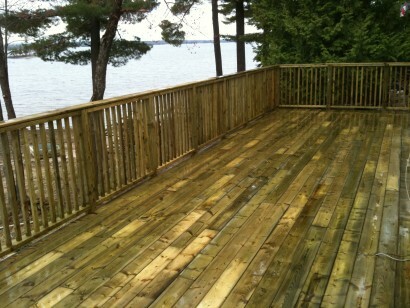 This was our first project completed by Gordmay Construction Services and it will not be their last. Over the years Gordmay Construction has done both small and large jobs for us totalling near $100,000. There are many good things to say about this company. Overall, we have always been pleased with the work they did for us. Specifically, let’s start with their estimate, which has been provided quickly and has remained unchanged though hidden problems sometimes arose. They have always been straightforward about necessary changes of plan and the possible responses. Their design suggestions have expanded our limited thinking and resulted in a better product. When decisions needed to be made to allow work to proceed, it was always with broad participation from us and them, resulting in a joint agreement. Probably it is the stylishness and functionality of their work that has made us so proud of the finished products. In particular, our kitchen, bathroom, and garden wall continue to draw admiration from visitors. They have also been kind enough to do little five minute jobs, aside from any contracted work, which as seniors we are often unable to do. Finally, we must say that Jan and Drew are just great people. We enjoy their company and laugh together a lot. 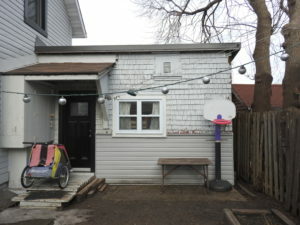 I recently had my kitchen and a bathroom renovated by Gordmay Construction. The work in the kitchen involved leveling the floor, install new porcelain tiles, new counter top, new back splash, and electrical work. For the bathroom, I had leaks that had damaged the bathroom floor and the floor in the adjacent room. Gordmay Construction replaced the tub and the damaged floor (both in the bathroom and the adjacent room), and installed new tiles for the wall. The job was done professionally and efficiently. The results are amazing. In addition, the project was finished ahead of schedule. Disruption was kept to the minimum by the construction team. During the renovation process, Gordmay Construction made many good suggestions which greatly enhanced my original plan. I am extremely happy with the quality of the work and the results. I would strongly recommend Gordmay Construction to anyone. I was extremely pleased with the work on my siding done by Gordmay Construction. The work was done promptly for an excellent price. I feel that any work they do will be done with care and attention to detail. A company you can trust to do the job right! Thanks a million for the wonderful job you’ve done on our kitchen renovation. You made it seem effortless! Job well done we would not hesitate to refer you in the future! We were very impressed by Gordmay’s professionalism, their fine skills and workmanship, their attention to detail, their dependability, their useful and practical ideas, and their respectful consideration of our needs for a stress-free reno. We felt we could trust Drew and Jan in every aspect of our reno. I had absolutely no worries giving them complete access to my home without worrying about having to supervise. I could always depend on them to be at our home when they said they were going to be there. A major kitchen renovation could be very stressful, but Drew and Jan relieved a lot of our worries and our project was done exactly right. They are meticulous in their work, and maintain a clean and tidy work site: that in itself keeps the stress levels low. Most importantly, we believe we got great quality and value. Thanks to Gordmay. By the way, I am already having Gordmay back to do another project, and I have others in mind for next year. Had a chance to review your work today and both Deb and I are very pleased. We enjoyed working with both of you and I wish you both the best in your professional endeavours. Thank you for the great service and workmanship! Heard you stopped by the other day. Sorry to miss you. You are still a star in our household! Here are the photos lots of selection so you can choose what you want. We can print some for you if you like. Sentinel Management has been dealing with Gordmay Construction for over 5 years and as a Property Management firm we deal with allot of maintenance issues for various properties throughout the City. Gordmay’s staff have provided prompt, reliable service and carried out work in a timely manner and met all expectations of our clients. This certainly has helped my staff to control work orders and ensure work is done to our clients satisfaction. We certainly would be pleased to recommend Gordmay Construction. I was just wondering if you could pass me the name & number of the gentleman who put up that gorgeous new cedar fence of yours. One of my clients is interested in having her back deck replaced (a very, very small deck, no larger than about 4 shopping carts full of groceries, leading out the back of her house). I suggested she contact your guy since he does AMAZING work and would compliment a potential small zen rock garden landscaping project I have in the works for her backyard. Cedar Privacy Screen on Front Porch ─ Barb and Norm, Ottawa, Ont. Thank you Jan for keeping Dave and I informed daily and weekly. I’m so impressed and the fact you and Drew look after the small details. Hope we do business again. Thank you Two so much. We love our bathroom and everyone who sees it admires it, especially how well it is finished. We like the new kitchen very much. I am so happy we choose you to do our renovation, you did a wonderful job and removed all of the stress! I will take good care of the backsplash and will make sure I apply the sealer in two weeks. Again, thank you so much for doing such a great job! I am very impressed. Thanks again for everything (and the shirt). You guys did a great job. Hello Jan – Patio doors installed today…..we are absolutely thrilled with them – and thank you for your help in getting things rolling for us. Drew did a great job of working on the garage doors – our old door slides up and down so smoothly now – touch of the masters hand!!!! We thank you for all your kindness over the years – we are most grateful for all your support. You are two very special people. Patio Door Installation ─ Don and Joyce, Stittsville, Ont. Al and I thank you both so VERY much for all your work yesterday – your offer of assistance was deeply appreciated. In fact, when I mentioned you to Al on Tuesday, he was highly sceptical given our experiences with the previous contractor. Imagine his surprise to arrive home the very next day to see a full crew completing the work and even moreso, to his exacting standards. You even went above and beyond the call of duty having Andrew caulk the roof. We knew there was water coming in somewhere but your guy found it and fixed it! We are both extremely pleased with the professionalism and quality of your work, your crew and your attention to detail. You can be sure we will call you back for all of our home improvement requirements. And, you can also be sure of my continued support, endorsement and referrals of GORDMAY to all my clients, friends and business associates. You two are truly a find – thank you! Thank you for the consideration. We do appreciate. On behalf of the staff of Cameroon High Commission, I want to thank you and your team. I wanted to let you know how great everything looks. I am so happy with how things turned out, you did a fabulous job and I really appreciate your attention to detail. Leaving the place so clean and shiny was also very much appreciated and not something I have experienced with other contractors. It was a pleasure working with Gordmay. I will certainly tell my friends about my experience and I look forward to working with you again. Merry Christmas to you and Drew and your family. My wife and I most heartily endorse and recommend the services of Drew and Jan Halliday through their company Gordmay Construction. On three separate occasions we have had work completed by them at our house. We have had exterior railings installed, the building of a basement office including electrical, plumbing and HVAC work and most recently a complete renovation of our upstairs three bedrooms and hallway. This last work involved installing hardwood floors, crown moulding, trim, new headers and cupboard doors as well as painting all surfaces. We have also had Drew completely re-caulk all the exterior joints and any openings. In all cases the work was performed in a professional manner within the estimate amounts and in accordance with the agreed time frames. The results have been universally admired and appreciated by our family and everyone who has seen them. Drew and Jan and any team member they bring in have offered useful advice and kept the job site as clean and tidy as can be expected with construction. They reviewed the work with us periodically and completed a thorough clean up at the end. They did what they said they were going to do and they did it within the agreed amount and time frame. We find their prices competitive with all similarly registered businesses and their work to be superior. Their experience is well reflected in our finished product. We are pleased to recommend Gordmay Construction to others. We have been completely satisfied with all of their work. We really appreciate your patience and your care working with my parents! We hired this excellent company to do a master bathroom reno. We had our own designer, as they don’t usually do the design part. The planning was performed with great care, there were no surprises on completion of the job. Their workmanship was of the highest quality. We are very pleased with our new bathroom and will be uploading photos once the glass shower stall is installed. I was just sitting down to type a thank-you for the exceptional job that you did with the fireplace and mantle. Both Lise and I are very pleased with how both the fireplace and mantle came out and everyone who has seen it is impressed with it as well. We are both glad that we met the two of you, because not only did you show a high degree of professionalism but you are nice as well. (It isn’t just anyone that AJ allows to pick him up) That thanks also goes to everyone you had working for you and those you referred to us. Drew, thank you for putting the glass back into the case. When I removed those 2 they were very tight and when I went to put them back in they seemed even tighter, and I didn’t want to force them so I was going to get a bit of the glass trimmed off. So, you have saved me a job. Once again, thanks for paying attention to the details. We will be in touch for future projects.